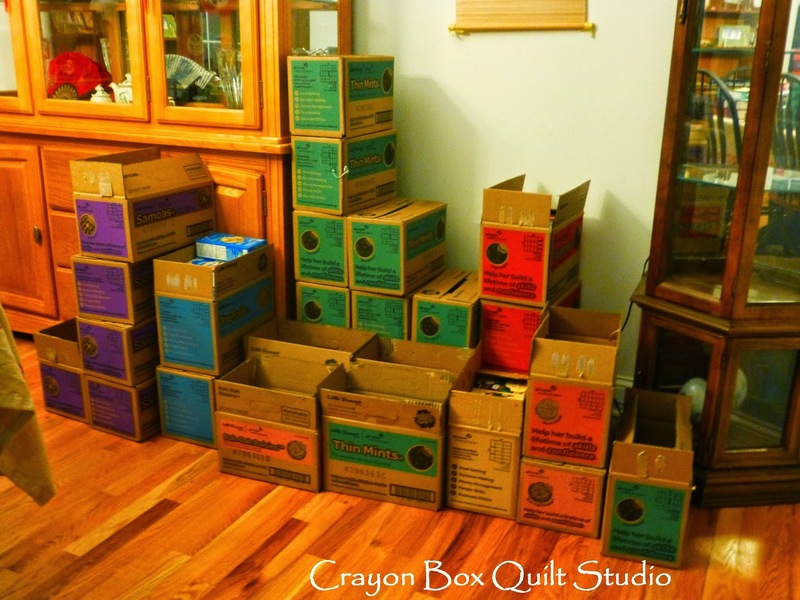 This is what I spent my day with yesterday....a whole lot of cases of Girl Scout cookies. 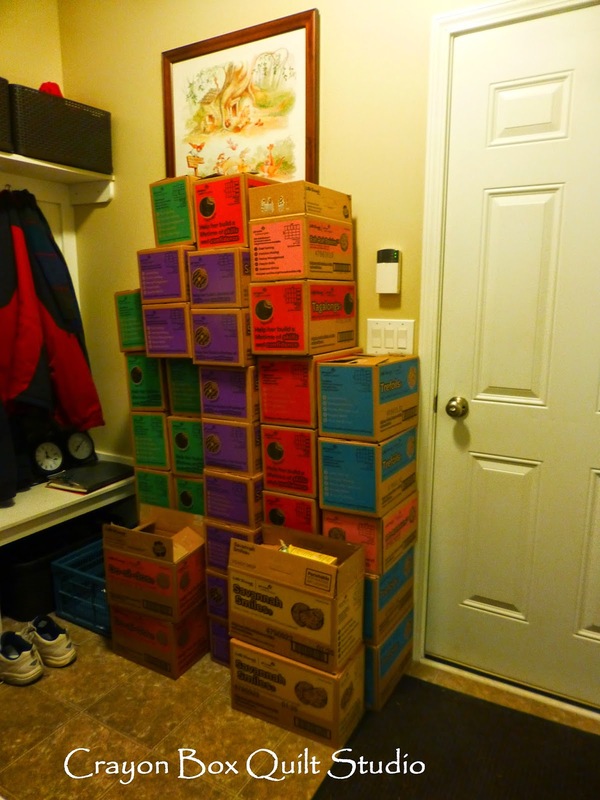 No this is not what Sunshine sold, these are the cookies for my entire troop. My mud room is now temporarily home to the cookies for our 1st cookie booth that is on Sunday. Here are the cookies that Sunshine sold. Tonight we'll start sorting them by order and then the delivery fun begins. Looks like Sunshine and the rest of the troop have done fantastic!!! Way to go! Good job. They have done really well and I'm very proud of them. They have learned a lot about working towards a goal that they want to achieve. I remember selling Girl Scout cookies. Back then they was only one kind. They were formed in the shaped in the Scout pin and cost 35 cents a box. Times have changed, but the Scouts march on. Wow. They sold a lot of cookies. Wish I could still get some around here. I sent you an email Cathy. You can get them online as long as you know a Girl Scout and she has a Digital Cookie page that she can send you the link for. I sent you an email too.....you can get more if you want them. My first thought when I saw your pictures was, "Wow, those boxes would be GREAT for sorting fabrics by color - they're already color coded!" Oh your post brings sweet memories back of my own years with my girls in Girls Scouts! Such fun! Oh how I'd love a couple boxes of those! The girls are always so cute when they sell them in front of stores. What did my niece's count end up being? I'm going to need to hide some of ours. Between the son and the hubby, I won't have any!